Are 18+ Hour Ultra Long Flights The Wrong Direction For Travel? I’m not afraid to say it. I’m an expert in the arts of using credit card points, airline miles and crazy flight flash sales to fly up front in the pointy end of the plane. Despite this, I do regularly still fly economy, in part because I just can’t respect anyone who doesn’t understand how it feels first hand to fly for an extended period of time in a cramped seat. This brings me back to the pointy end of the conversation. I take long haul flights all the time, and I just can’t bear to be on the plane for more than 12-14 hours. In fact, no matter where you sit, it gets really boring. One of my favorite pastimes involves using the app FlightRadar24. It’s free, and allows you to track flights all over the world, seeing them on a map in real time. This simple joy puts into perspective just how time flies on the ground, and how it’s the opposite in air. As I was making dinner yesterday evening, a friend was taking off from Mexico bound for Europe. I finished dinner, slept, went for a morning run, grabbed coffee and found that after a short delay on departure, they still weren’t on the ground. At roughly 10 hours, it wasn’t even a particularly long flight. I flew from London to Singapore this year in arguably the very best commercial way anyone can. I flew Singapore’s First Class Suites. 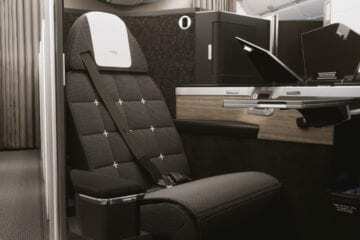 The opulent, exceedingly private first class cabin with privacy doors and dual suites, which can convert into real double beds, are more than anyone realistically can expect in the sky and come complete with welcome distractions like Dom Perignon, vintage Krug, Caviar and endless in flight entertainment, not to mention a minimum three meals. By hour 12, despite the royal suite of distractions, I was bored and wanted off. I’d seen the good films, I’d eaten all I could stomach, slept for 7 hours and there were still many remaining. If it’s this boring up front, what’s it like in the back? A variety of airlines, namely Qantas and Singapore are at the forefront of bringing ultra long haul travel. Singapore Air recently regained the crown for world’s longest flight when it reinstated its route between New York and Singapore, boasting a flight time just over 18 hours. In 2018, Qantas also made aviation history, introducing the world’s first regularly scheduled non stop airline flight between Europe and Australia with London-Perth. The flight clocks in around 16-17 hours. Qantas has made no qualms about taking things further, with the announcement of Project Sunrise. The project aims to identify an aircraft which would comfortably service non stop New York-Sydney, and London-Sydney. The flights would likely be the first to surpass the 20 hour mark. This begs the question, why? Sure business travelers and one percenters traveling on unlimited budgets may enjoy shaving the 3 hour connection in Los Angeles or Singapore for a flight such as New York-Sydney, or London-Sydney, but for the first time in history, airports are improving at an alarming rate. Take Singapore: the airport already offers (all) passengers an outdoor butterfly garden, movie theatre and food worth eating, but it will soon also open “The Jewel”, which brings the world’s largest indoor waterfall. But airports all around the world aren’t to be left out either. Day rooms, where you can rent a hotel room by the hour (and not have it be the sketchy way) and mini spa’s are popping up at airports in all corners of the globe, designed to rejuvenate travelers. And then there are the health benefits. Any pilot will tell you that it’s imperative to get up and walk around every five hours or so, in hopes of avoiding DVT. It doesn’t matter where you sit. It’s important. Is a 10 hour flight, followed by an 11 hour flight better than a single 20 hour flight? Health wise – it certainly could be. Other than a single airplane type, the Boeing 787, all planes use recycled engine air, which may help to explain why you feel as if you’ve taken a shower in a New York Subway station after a long haul trip. A connection is not only an opportunity to kick your body back into gear, but also to reconnect with the outside world. I don’t think the issue is whether to ULH or not to ULH. For leisure passengers… I agree, after 7-10 h it gets f*cking boring. What’s worse than facing a 16 hour flight in economy? Getting off a 9 hour flight and facing connecting onto a 10 hour flight. Singapore’s Changi is extreme outlier as it is rated the best airport in the world. The great majority of layover airports are dumps, especially in the US. (Although LAS is pretty nice) I’ll take the nonstop and not risk a missed connection or a crummy US airport layover.